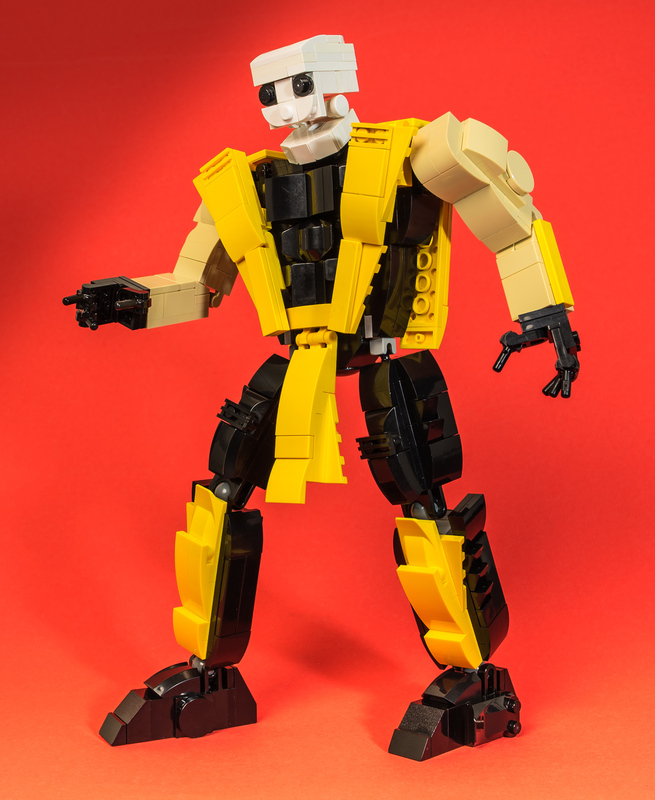 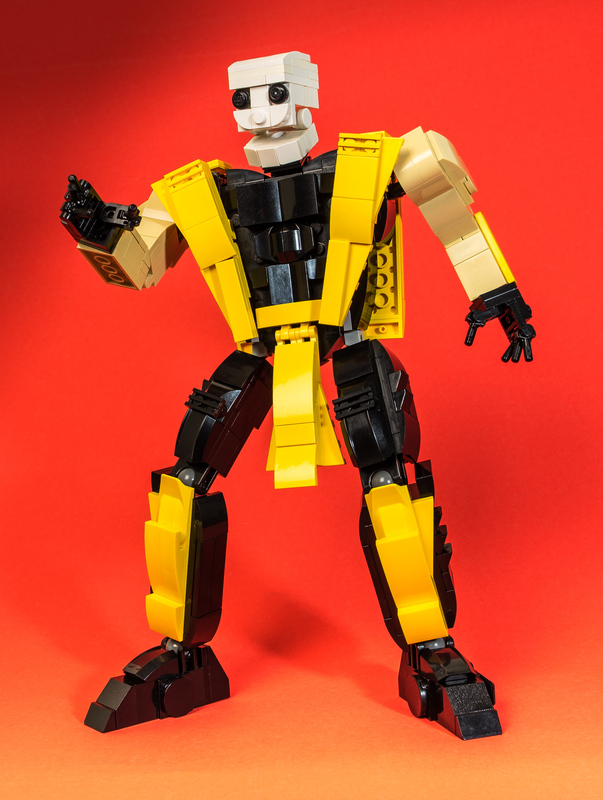 An articulated BigFig I made of my favorite Mortal Kombat fighter, Scorpion — unmasked with his skull face form. 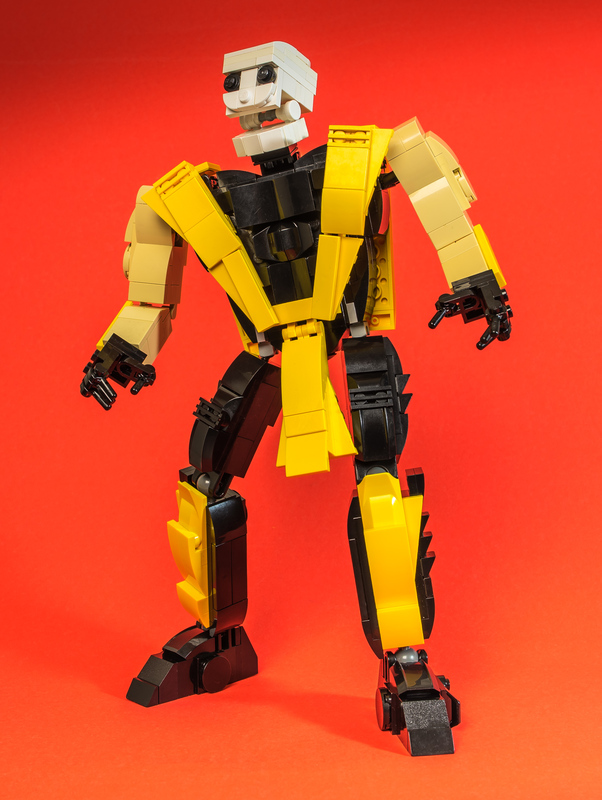 This was a quick build that I made over the course of a night. 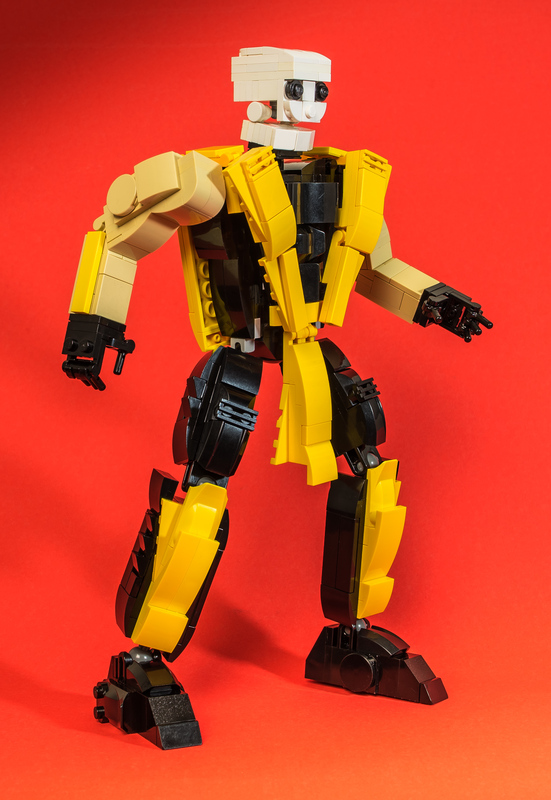 The figure is rather articulated and stable, although his arms are a big flimsy due to the Technic pin joints. 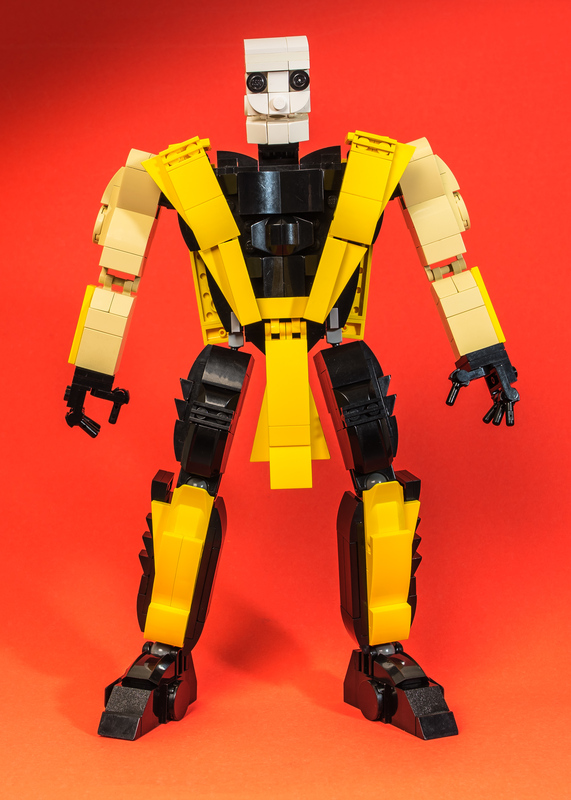 I plan on using this base design for making additional ninjas, in the same vein as the color palette swapping of Sub-Zero, Reptile, and Smoke.